What in the world am I doing with my life? I find I ask this question a lot lately. I don’t have a clear answer and I hate it. The last couple of years I’ve been writing and recording songs, putting videos on YouTube and blogging. All in the hopes that I can one day somehow earn an income doing these things – which is very difficult to do. I enjoy it. I find it fun, until I start wondering why. I’m a christian so I take God and His plan for my life pretty seriously. I know God wouldn’t give me certain gifts and talents yet prevent me from using them because – why? Why would God do that? The God I believe in gives me talents in order to use them for His glory. But what does that look like? I started this blog to help people. That is how I justify my weekly musing or rant. I want to help but my good intentions don’t pay the bills. I work at a supermarket for that. A big part of my day to day is to help my husband with his singing teaching by cleaning the house, sending policy letters to students, welcoming them etc. I’m the secretary. I do these things so my husband can focus on the teaching side and not have to worry about admin and marketing. I’m happy to do this, I want to support my husband. Life can get disheartening though when a student who was doing well suddenly quits for no real reason or payments are delayed. The problem with following your dream is you need a market. You rely on people needing what you have. That side of it is out of my control. So I come back to the question of why? Because I love it. Ok but do others love what you do? Is what you’re doing self serving or serving the community in some way. My husband’s work serves the community of vocalists on the northern beaches. I however feel like I’m doing nothing of real worth. My activities are self serving. There are a gazilion singer songwriters out there. What do I do that’s different? Why would someone pay money to hear my music? How does my music serve them? This is where faith comes in. Whether you believe in God or not, to be an artist you need to have faith. Faith is the evidence of things hoped for, for the things not yet seen. My husband and I live by faith every day. If we don’t we give up. We have faith that more students will come, that they will pay. I have to have faith that the songs I write will be of service to someone. That they will be enjoyed and people will see and hear their worth. All artists need faith – this battles with my aspie self who wants plans, a routine, a fall back plan, a guarantee. But life does not have guarantees – except death and taxes. To be an artist is to embrace this. It’s risky, it hurts, you fail – a lot! I do like routine but to truly embrace life and creativity is to have faith and take risks. That is the closest thing I have to an answer to the ‘why’ question. I believe I’m doing what I do for a reason. I hope and pray that my creativity is not in vain but serves a purpose I may not even be fully aware of. 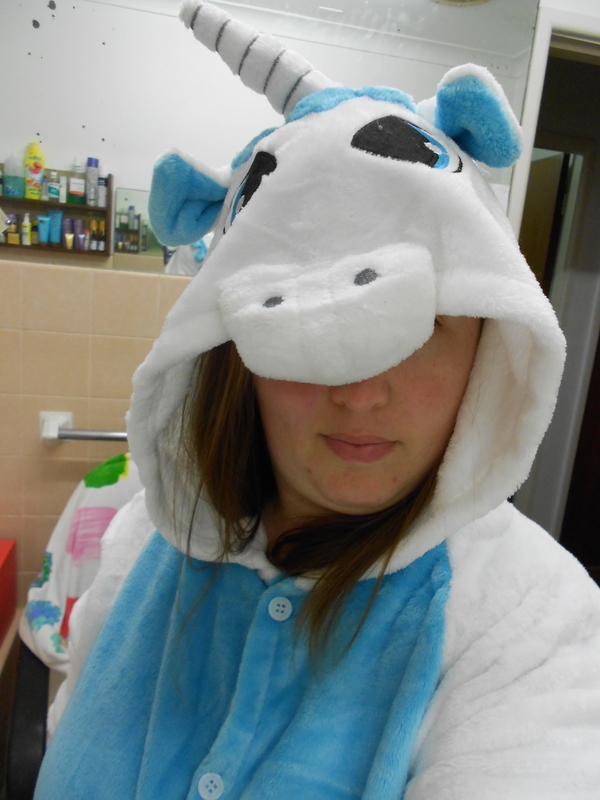 If you are stressing about what you are doing with your life, keep calm and be a unicorn. P.S. Sorry I missed blogging last week. Sydney had crazy storms and life was just generally a little crazier than normal.